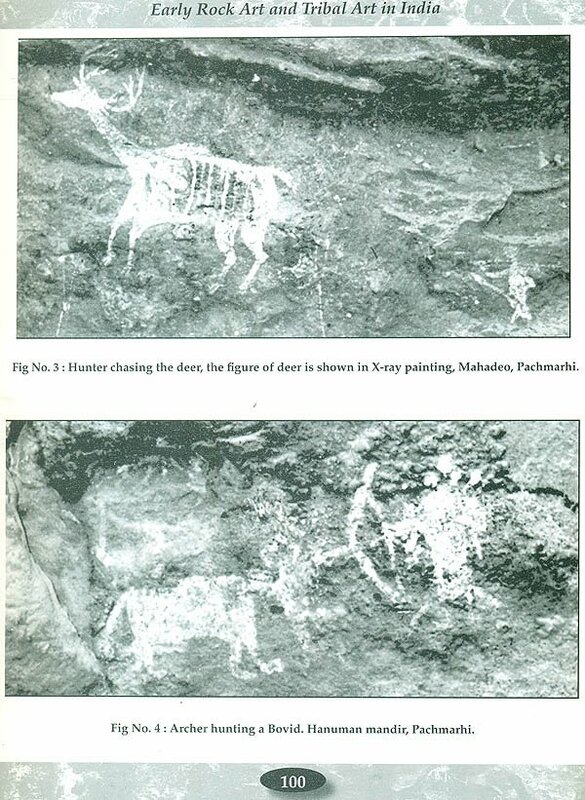 This book is the pioneering attempt on several Indian rock art sites of diverse regions exhaustively studied by the writer for decades and finally a database a equipped with attributes on early rock art imagery. Now, in India the impulse is analytically illustrated in this volume. The added attraction is its outstanding approach where rock art of prehistoric and early historic era is categorically compared with living art tradition and related practices by several indigenous tribal communities sharing the common locale. The result shows amazing affinity between art imagery of two discrete periods, its tangible and intangible expressions. The analytical study determines possible linkage between the two periods in the process of cultural continuity. 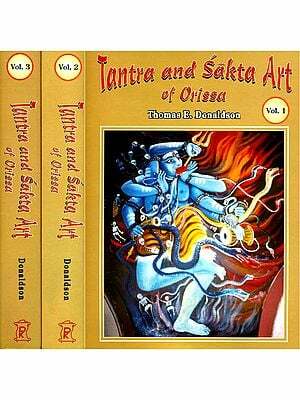 It is unique exposition and passionate narrative by Dr. Somnath chakraverty – a distinguished and internationally renowned Anthropologist, who is dedicated in exploring indigenous art heritage of India. Professor Dr. Somnath Chakraverty is an internationally distinguished anthropologist, a teacher and scholar who has significant contribution in the field of prehistoric rock art and other indigenous art tradition. Professor Chakraverty completed his B.Sc.. Honours, M.Sc. and Ph.D. degrees in anthropology, all from the University of Calcutta, He received research Fellowship and grant from the ‘Centro Camuno di studi Preistorici’ Brescia; Italy being supported by UNESCO. The area for the field research was in the Alpine region of Europe. There research and training continued under the supervision of Professor Emmanuel Anati: Director if C.C.S.P, Italy , Professor A Beltran of the University of Zaragoza, Spain and other. As a member of the faculty he successfully completed a research project on early Rock Art in Central India. In the year 1994-95, he was awarded Fulbright Fellowship from the united States Educational Foundation in India in Collaboration with the University of Pennsylvania, Philadelphia and Michigan University, Ann Arbor, USA. The research project was on the anthropology of Art and in the field of History of art being based on empirical field research on Navaho Indian society of the Grand canyon region of USA . He also undertaken further research project on the genesis of Art in the Native American societies of rocky mountain area USA. 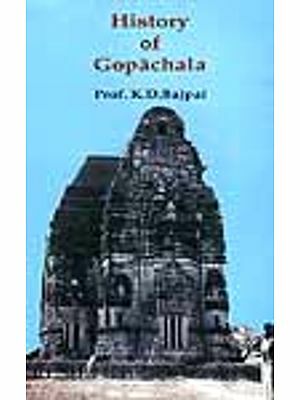 He also received and successfully completed postdoctoral National teach Fellowship from the University Grants commission, undertaken series of research projects from the Ministry of culture, Government of India, Lalit Kala Akademi, New Delhi, The Asiatic society, Kolkata and from other national and international organizations. Dr. Chakraverty had participated in several excavations, field explorations and analytical studies in Americas, different countries of Western Europe, Africa Middle East, Jordan, China, Thailand and in almost all parts of India. He also worked as a coordinator of American committee of South Asian Art and Continued their documentation projects in South Asia. Dr. Chakraverty is also known as a prolife writer and documentary film maker. In the early part of his career he also served as an officer of the Research Wings, department of information & Cultural Affairs, Government of West Bengal. He has participated in more than hundred international and National Seminars and workshops etc, in India and abroad. He has published more than two hundred papers, Articles and thirteen books in different languages. Man is characterized by a number ~f special features. Quite a number of them are biological attributes. These characteristics have significant role in development of culture. In fact, the basic foundation of culture is laid on biology of man. In a way, both biology and also culture are integrated in nature. These are also provided with their respective-principles and activities. Above all, there are a good deal of interactions between and among these characters which gave rise to the net product of ideas and operation. This fundamental issue may be explained from the point of view of art. The basic perception of art, comprising a number of facets like composition, layout, dimension, colour-effect etc. is initially conceived in the brain. If hypothetically it is thought of that only brain was developed and other body parts or organs as eyes and precision grip in hand would not have been developed in the hominid stage, art would never emerge. Human vision is characterized by stereoscopy, acuity and capacity for colour differentiation. The forelimbs of man are bio- mechanically developed, with special power and precision grips. The coordinated activities with involvement of brain, vision and the power-precision grip in the palm have given rise to perception, conception, operational ability and production of art. Art is also considered to be a special characteristic feature of the hominid which slowly but in continuity emerged at a later stage. This is considered to be explanation of the fact - why art is devoid of during the stage of Homo habilis and Homo erectus. At a later stage, in the bio- chronological sequence, Homo sapiens came into existence through the process of evolution. Within the first group or the earliest sub-species namely Homo sapiens neanderthalensis, art was in vogue in a nascent state. Immediately after, with the outset of Homo sapiens sapiens art gradually turned full-fledged. This is evident primarily worth confirmation from the pieces of "art mobilier" such as - sculptures that are portable or movable items. The dating of art with the above noted materials is both genuine and convincing. Simultaneously, in a procedural form, art was found to be depicted on rock in the form of paintings, engravings and even sculptures. There are other evidences, as sculptures on bone and ivory, clay figurines, painted pebbles on which art was also created. About rock art of prehistoric and ancient period, many a features, traits and characters are known. But there is hardly any direct way to know the function, except logical guess or rational speculations and at times reconstruction, corroborated with suitable data. However, - drawing pertinent ethnographic analogy is not outside the scope to work out for understanding the meaning and functional significance of rock art. Application of this method is appropriate for better understanding of rock art of earlier times. With a view to working along this line, attempts have been made to draw parallels from the tribal context in which art has a special symbolic role. Under any circumstance, it is neither proposed nor confirmed that this analogy points to a clear-cut equation. Rather some amount of deviation can seldom be ruled out. For application of ethnographic analogy, at least in the present context the comparables were selected from similar economic base. 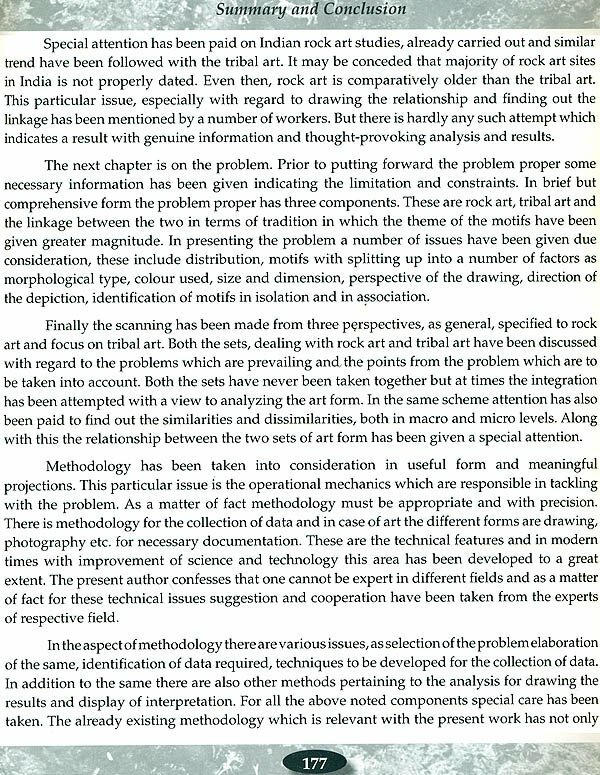 Such approach is necessary for application of more precision in methodology. In India, study on rock art has a considerable antiquity. In the beginning, the results were on discovery - this is quite common to begin with. 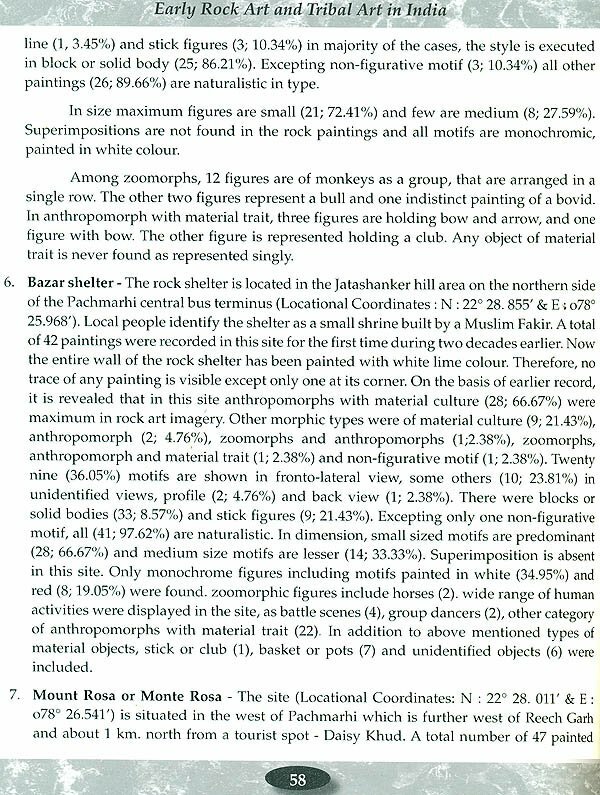 After the discovery of quite a number of sites and even localities, new ideas on identification of motif, stylistic pattern, occurrence of forms in numerical expression gradually' emerged. 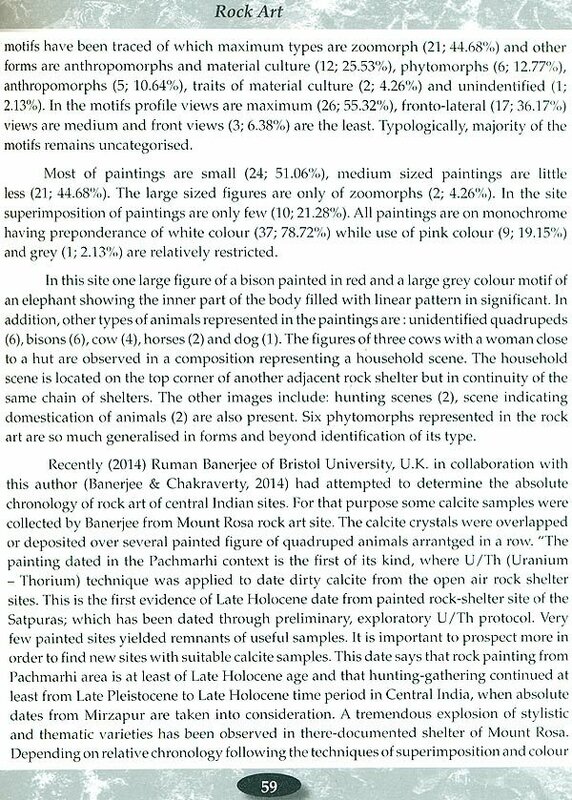 As a matter of fact, study on rock art acquired a footing as a subject than a discipline. However, the functional implication of prehistoric and usually implications of early rock art was not properly known until recent times. India is one of the few large countries where the preliterate and tribal groups are still in existence. These tribal groups are classified in different forms and ways in terms of distribution, language, ethnic elements, cultural milieu, economic pursuits etc. Many of these tribal groups have their own indigenous art forms, depicted in different ways as paintings, engraving, wood carving etc. 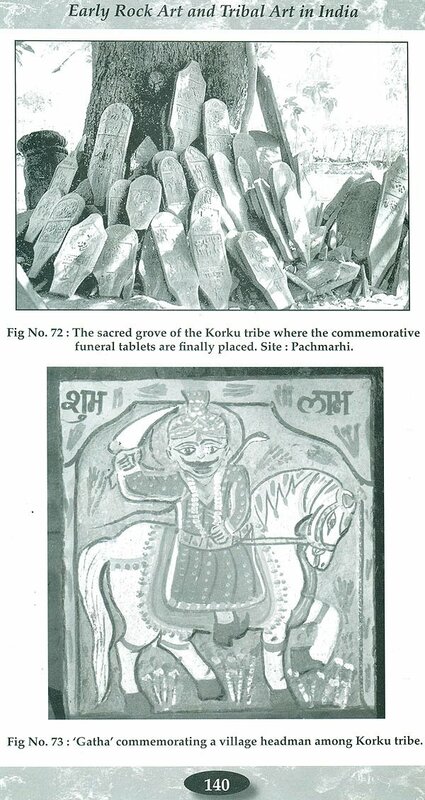 The tribal groups, engaged in paintings and even engravings are very useful to study for the purpose of drawing analogous connections and contextual relationships. It is not merely the technology of production of art is known from them but above all the functional implications of art of those ethnic groups can readily be known from their tangible and intangible heritage related to art activities. In the realm of tribal art, this is also termed as 'ethnographic art'. Anthropological background, training and methods are absolutely essential for an analytical study. 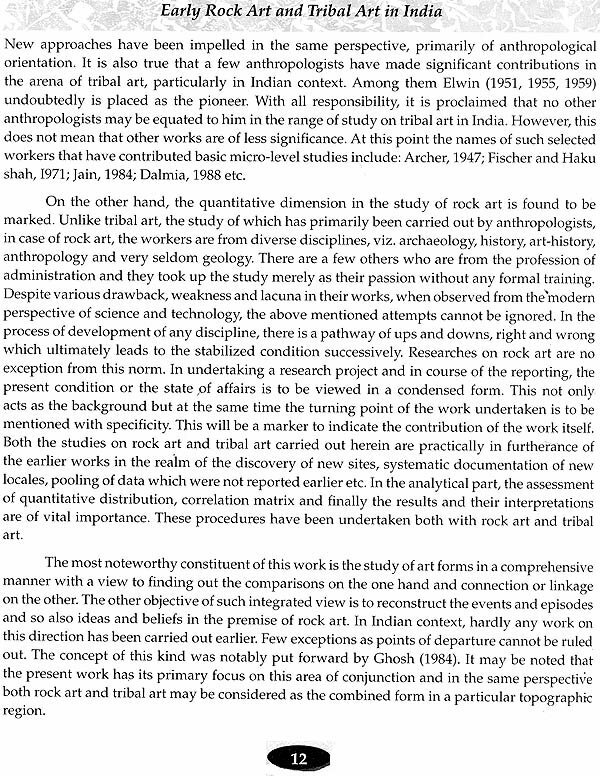 As a student and professional person in the field of anthropology and through my own first hand experiences on the study of tribal art by application of ethnographic parallels in understanding rock art, it is convincing that the present work has surpassed the similar works so far carried out in India. I also feel that in the near future the present scheme will further be modified, giving rise to development by myself and obviously by other participating workers involved in inter- disciplinary approaches. In this short introduction, it deserved mentioning that the coverage and canvas of the work turned to be enormous. For the purpose of proper comprehension and completion, within the target schedule, certain restrictions have been imposed. The primary focus is drawn on rock art, tribal art and an integration of both the components. There is a well extended scope to carry out the work in furtherance. Within the limited time frame and convenient situation, a considerable quantum of data along with analyses has not been included. A well-knit measure for selection has been made which helps in comprehension and conclusion. It is expected, both with sincerity and confidence, that in future additional data and results will be put forward to the interested scholars of national and international levels as inputs and their feedback will be helpful for the further enhancement of work in continuity. The present study is more regional one than the consideration in the global perspective. The reason is not only simple but also rational Instead of making the work unnecessary complicated, the unidirectional approach has not been distorted. It is more important to know about India at least to begin with. Thereafter comparison may be made for drawing similarities and dissimilarities with other areas, distance and proximal, both of rock art and ethnographic art. For the present project financial support has been extended from the University Grants Commission, under research grant scheme for the university and college teachers. I acknowledge financial: and technical support in some way or other received from Lalit Kala Academy (New Delhi), India; Centro Camuno di Studi Preistorici, Italy and University of Michigan, U.S.A. towards all success of this prolong, ambitious and expensive project. I am also indebted to the United States Educational Foundation in India for awarding me Fulbright Fellowship and research grant which facilitated further work on comparative assessment between rock art and tribal art of Old World and New World. I acknowledge the active help received from Professor Eleanor Manikka and Dr. WaIter Spink of Department of Art History, Dr. Carla Sinapoli of Department of Anthropology both in the Michigan University - Ann Arbor, U.s.A. my teacher and mentor Cooperation and suggestions have also been received from Dr. Carol Patterson Rudolph, Dr. Mark Kenoyer of Department of Anthropology, University of Wisconsin - Madison; Professor Gregory Possehl of the University of Pennsylvania, Philadelphia, U.S.A., my teacher and mentor Professor Emmanuel Anati of the Centro Camuno di Studi Preistorici, Italy and Dr. Robert G. Bednarik, Secretary of the International Federation of the Rock Art, Caulfield, Australia. 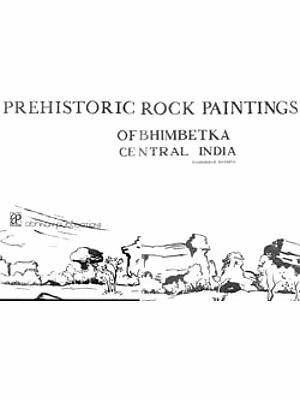 Since 1973, when I was a student of undergraduate honours class in Anthropology Department of Calcutta University, I got interested in exploring the rock art sites. From the initial stage, such activities were encouraged and overwhelmingly supported by my professor, mentor or guru - late Professor Asok K. Ghosh of the Department of Anthropology, Calcutta University. He was fascinated by the potentiality of rock art research and in the later part of his life became active in this discipline. This project is an outcome of his tremendous amount of interest in studying cultural continuum, sometimes accompanied me for necessary guidance during fieldwork for the present work. Cooperation and assistance were rendered by Sri Shankar Singh Thakur of Pachmarhi who is a local tourist-guide. In Odisha, all kind of assistance has been given by my friend Sri Vivek Bej and Sri Sadananda Bej of Studio Sun Beam, Keonjhar. My students including Shri Subrata Paul, Shri Susanta [ana, Shri Snehasis Chatterjee, Shri Khagendranath Das and Miss. Chhanda Biswas had assisted me during field survey and there after in analytical phases. A special mention may be made that throughout this present project all kind of cooperation received from Dr. P. G. Chatterjee of the Department of Botany, University of Calcutta; Professor B. N. Banerjee of the Department of Anthropology, Professor Amita Ray of the Department of Archaeology, Calcutta University and Professor Uma Dasgupta, Former Director of the United States Educational Foundation in India, Eastern India Regional office at Calcutta. Shri Sudin Acharjee and Shri Dilip K. Chakraborty, have also helped during preparation of this manuscript. For valuable suggestions, I am also indebted to Professor V.H. Sonawane of Baroda MS. University and Professor G.L. Badam of Deccan College, Pune, Dr. B.L. Malla of the Indira Gandhi National Centre for the arts ( I.G.N.C.A ), New Delhi and particularly to Dr. Yashodhar Mathpal, Museum of Folk Culture, Bhimtal; Uttarakhand who has immense contribution in the field of rock art in India. It would be my privilege to acknowledge all gratitude to my wife Minati who encouraged me most actively in completion of this work. Mention may be made that my son Raja, being exposed to this work both in the field and laboratory had carefully assisted me throughout. This book is the result of a coordinated effort where maximum technical support and encouragement had lead by my friend and publisher Shri. Praveen Mittal of B.R.Group, New Delhi. My past student Sri. Subrata Paul is a dedicated photographer and overall an experienced documentation expert. He had accompanied me during field work and also rendered technical support in photo-enhancement and other replication activities. Sri. Partha Mukherjee, Chief of M/S Cyber Animatrix had also collaborated in development of a visual data repository on indigenous art tradition. Most humbly I request the readers of this book to communicate further feedback with their constructive suggestions. Rock art research and study on tribal art is a multidisciplinary area. I am confident that the students and researchers of several disciplines such as : anthropology, ethnography, archaeology, Indology, art history, sociology, human geography, history, art and such other allied disciplines will be benefitted from this volume. Unlike many a disciplines, the beginning of anthropology is relatively later. 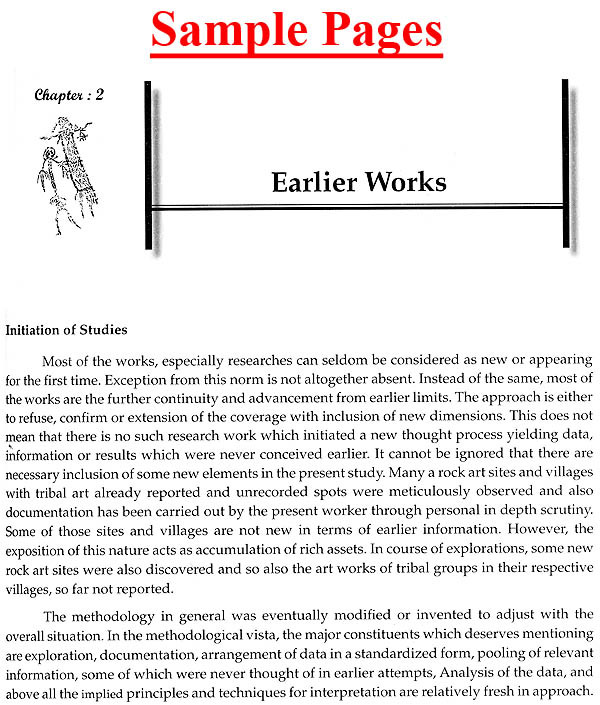 Prior to emergence of anthropology as a distinct discipline, history, art, philosophy etc. were in vogue in a more or less stabilized form. On the other hand, sociology, art history, communication etc. which have bearings with art, appeared in relatively recent times. It may be viewed that as a discipline, anthropology was nourished to a great extent by many a subjects which were already in existence. In due course anthropology also started catering needs to other subjects. However, anthropology did not turn stalemate. Instead, the process of development set in different ways, i.e. spontaneously and also with induced pursuit. It is needless to mention that in convergent dynamics of different subjects, the independent role and functioning in isolation have almost been ceased, and anthropology is no exception from such norm. There is cohesive relation between anthropology and art and that too is evident from the contributions made by a number of stalwart scholars (Firth, 1951" 1992; Boas, 1955; Mead, 1963; Levi-Strauss, 1967). The institution made by earlier workers did not stop; rather the continuity went on and is still being present with appreciable acceleration. In dealing with art and anthropology, in a conjunctive manner, there are a number of causal relationships. For all practical purposes, any form of art is created by man, instead of natural. In fact, art is created for various functionary purposes and for diverse needs faced by man. Under the circumstance, it is not out of place to mention that art may be viewed as an expression that are indispensable part or a trait of total culture complex. It is made by man for various overt and covert purposes as also with the inclusion of decorative elements, aesthetics, communication, religious activities and so on. As a matter of fact, the relationship between art and anthropology is always in existence. To begin with, art, as a product of human endeavours, may be accounted for in terms of need, technology, function etc. in the focal area. There are also other issues as materials and their availability for creating art, environment in which the artist is brought up and living and so also the art is created. For all kind of considerations, art is found to prevail in the dimensions of both space and time. On the basis of the above noted factors, the genesis, spread and diffusion, development, change etc. may be examined from anthropological perspectives. In other words, the treatment of this kind may be termed as the anthropological foundation of art. It is somewhat difficult to study genesis of art without anthropological background. For studying other functional aspects of society in anthropology, visual art may not always be quite appropriate. There is another close linkage between art and anthropology. It is not only thought of but with the corroboration of relevant data. The earliest form of art has been dated at least to palaeo-climatic phase during Upper Pleistocene and Upper Palaeolithic period - if not earlier. The beginning of art is dated about twenty-two thousand years B.C. or even earlier in accordance with geological, cultural and absolute chronological parameters respectively. In the same set, it is deduced that art in full-fledged form made its appearance during the time of earliest Homo sapiens sapiens. In course of biological evolution, when multifarious mode of evolution has taken place in man. In this regard the major components are brain, forelimbs with special grips both precision and power, acuity in vision with regard to stereoscopic and colour - specific ability. This is practically an almost unexplored area for studying the genesis of art and its association with suitably early hominids. It is still an open question as this arena has not been suitably touched upon which will assist to understand the gradually acquired biological capabilities for the creation of exquisite Upper Palaeolithic art. In the same premise, the involvement of different sub-disciplines of anthropology as biological anthropology, cultural anthropology and palaeo-anthropology are to be activated for appropriate integration to explore the origin of art. It is hoped that the concerned experts and scholars will expedite their researches in the above-noted projects and thereby a number of problems are expected to be clarified and solved without creating any further controversy and complications. Anthropologists, practically a score of them have carried out intensive researches among small, regional, preliterate and pre-industrial groups, specially the tribal communities. ,By now, there are surfeit of data and information on various aspects of primeval art and tribal art. At times the coverage is of a period of about a century, and even more in certain instances. 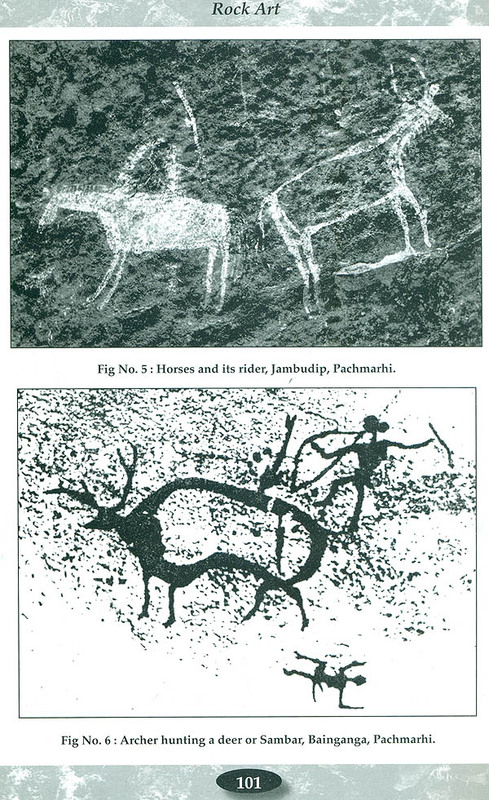 Not always strictly within the arena of anthropology, but rock art of earlier times both prehistoric and ancient periods has also been studied considerably. A criticacal review of the same perspective has been included here in appropriate context, keeping the primary focus on India. The above discussion is a comprehensive but brief account in understanding the relationship between art and anthropology. It deserves to be mentioned that in majority of the cases, the handling is made either on rock art or tribal art. The instances are very few in which the continuity from prehistoric to modern primitive dimension of art has been attempted to verify the hypothesis on cultural continuum, if any. In view of the same, the present project has been taken as an endeavour for compensation. At this juncture, it is perhaps essential to include a few comments which are of utmost relevance. Almost all the people from the discipline or sub-disciplines, as the case may be, on rock art and tribal art, perhaps seldom understand the -intimate relationship between art and anthropology. This is incredibly conspicuous in India. !t is a great pity that many of the artists, and even art lovers, are quite famous for their respective contributions in art and a great part of them is included within the group of intelligentsia. There are some artists who are engaged even on appreciating on folk art, a proximal annexure of the fore- rnentioned area. In spite of the fact, they are practically cipher in ethnography and rural society when anthropology is placed at a reasonable distance from them. The other aspect is equally dismal. Anthropologists, more specifically of the streams of social and cultural anthropology generally do not have any exposition or experience with art in general and ethnological art in particular (Haselberger, 1961). Naturally, they are placed too far from art in its overall form. This view turns to be contradictory and even upsets the equilibrium. Many renowned social anthropologists (Redfield, 1941; Elwin, 1951; 1955; Firth, 1951, 1992; Boas, 1955; Nodelman, 1970; Adams, 1973; Bateson, 1973; Fagg, 1973; Lay ton, 1991) have carried out intensive works on ethnological art. The term "ethnological art" is coined as a substitute of primitive or tribal art. It has been adapted following the coinage of terminology mentioned by Haselberger (1961). Most of the fore-mentioned workers have included the motifs, styles, technology, function etc. in their treatment and exercise on art forms, features and functions. At the same time, in their endeavour to reconstruct the society, encompassing economy, culture, polity and religion have never been set aside. In a way, the ethnological art represents the society with its multi-dimensional facets. At the same time, this overall methodology may be modified to some extent and thereby the art objects can be used as markers of social, cultural, economic and religious attributes. The works of this kind, both in Europe and U.s.A. are quite marked and the importance of the same has been accentuated to a great extent because many of such works have been carried out by a number of well established anthropologists. Without mentioning all of them, in a very restricted manner, some names may be mentioned. these are Haddon (1895), Raymond firth (1951, 1973), Levi Strauss (1963), Mead (1963)etc. Their tradition in the domain of anthropology of art has been followed up by the scholars of the succeeding generation and among them some of the noteworthyscholars are Haselberger (1961, Fischer (1961), Ucko (1977), etc. There are both complications and contradictions on various aspects, as of the proper perspective of the problem, the proper scanning of the topic, methodology and technique, process of analysis and system of interpretations. All these issues are so numerous without such commonality. It may be apprehended that there is good deal of dearth in process of standardization. If these issues are to be dealt with in comprehensive and even in brief form, it will turn to be a ceaseless exercise and perhaps will give rise to an unending attempt. Despite this, these points have not been totally isolated. On the contrary, the important, relevant and pertinent points have been included. The arrangement of this type has turned to be compulsive; otherwise it is not only difficult but practically impossible to complete the present work systematically. The present study is not pointed to theoretical discussion with critical review with remarks, both of thesis and antithesis. The work which has been taken to carry out is empirically concerned with a temporal universe stressing the chronological perspectives. Within the same fold, necessary type and moderately sufficient quantum of data have been incorporated. There are different geographical regions of study and the chronological positions are also dissimilar. One part is relatively of great antiquity, concerned with prehistoric and ancient rock art. The other part is concerned with ethnological art, specially the art of a number of existing tribal groups. The two primary sets are placed on two points in the chronological scale. At the same time, there are some similarities in form and motifs together with style of the art objects between the sets. In view of the same an attempt has been made to search for linkage of art, if any both in performing activities and ideological aspects. The trend of continuity mayor may not be present. Naturally, the hypothesis has been kept open without any pre-conceived bias. The data will indicate both the feasibility and practicability of the hypothesis. Accordingly, corrections are to be made. The problem, the area, the art, the environment and many such aspects are indeed new. Considering the positive points instead of examining the theoretical model, the contextual empirical parts have been properly identified, arrangements of data is worked out and discussed. 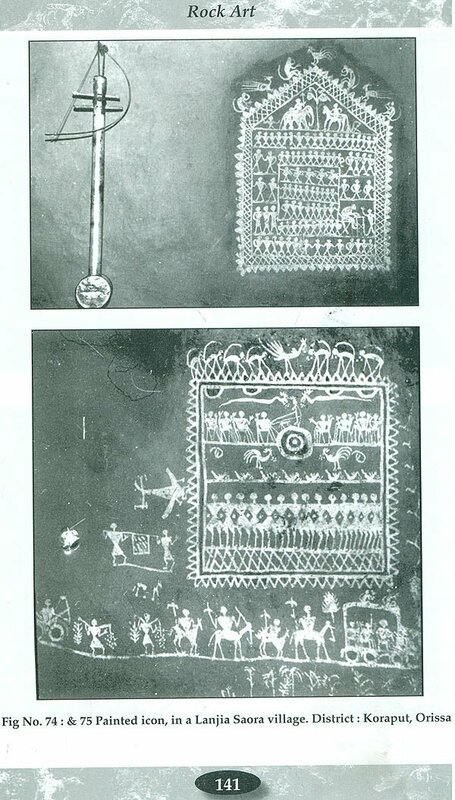 Tribal Art in India: A Review, Relevance of Studies: Its past and present. 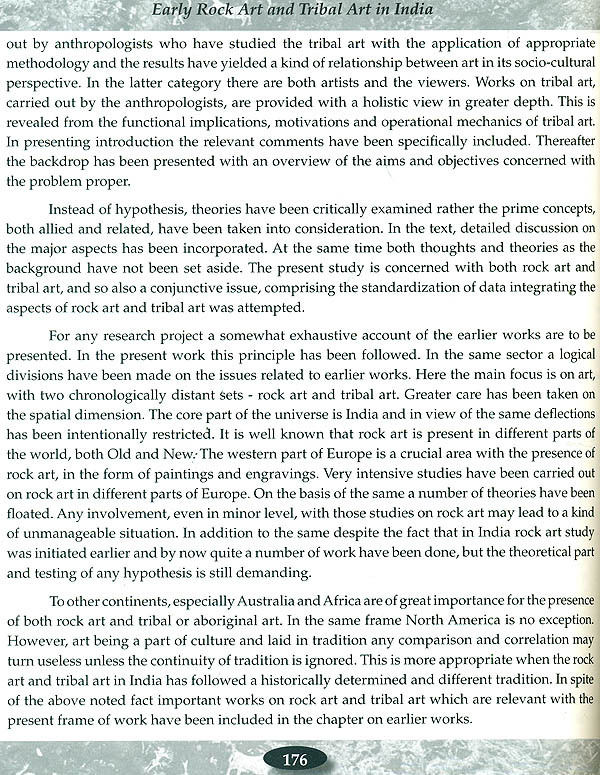 Further Scanning of the Problem, Art in General, Rock Art, Tribal Art. Combination, Rock Art and Tribal Art - An Integrated view. Art of the juangs, Art forms, Study on motifs, Tribal Art: A Summation. Summing Up, Observations in Addition, Conclusion, In Conformity.